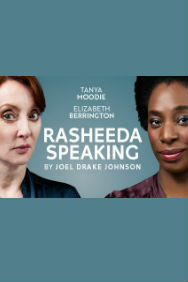 Tanya Moodie (Trouble in Mind) and Elizabeth Berrington (Absent Friends) star in the UK Premiere of Joel Drake Johnson’s tense workplace drama Rasheeda Speaking. In one of Chicago’s wealthiest hospitals, a white doctor tries to remove a black receptionist by enlisting her colleague as a spy. The women’s friendship quickly deteriorates and a chilling power struggle ensues. With the office becoming a battleground of passive aggression and paranoia, things spin wildly out of control. Joel Drake Johnson’s incendiary new play examines underlying racism in the workplace, white guilt and the manipulation of women by men in power. Rasheeda Speaking is a shocking dark comedy that keeps you in its claustrophobic grip until the final moment, proving that nothing in Middle America is ever truly black or white. 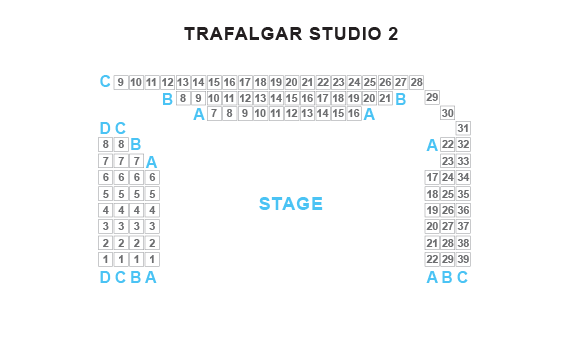 Directed by Jonathan O’Boyle (Hair, Dear Brutus) and produced by Troupe (Dear Brutus, The Cardinal – The Telegraph Critics’ Choice), who make their debut at Trafalgar Studios.